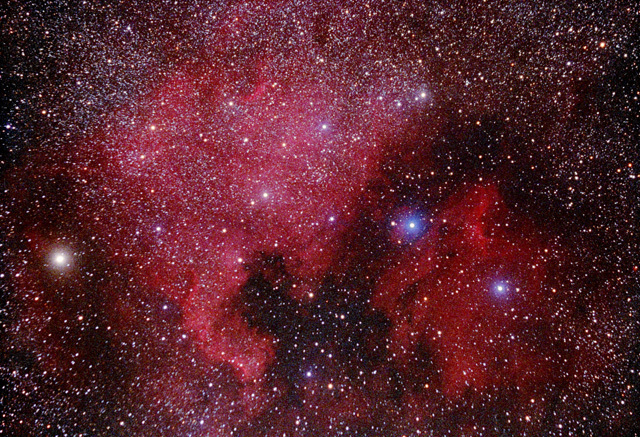 The North America Nebula is the large red area to the left of center. The Pelican Nebula is at lower right. See how this image was post-processed.